Oakland Athletics left-hander Sean Manaea will have season-ending surgery on his left shoulder next week. 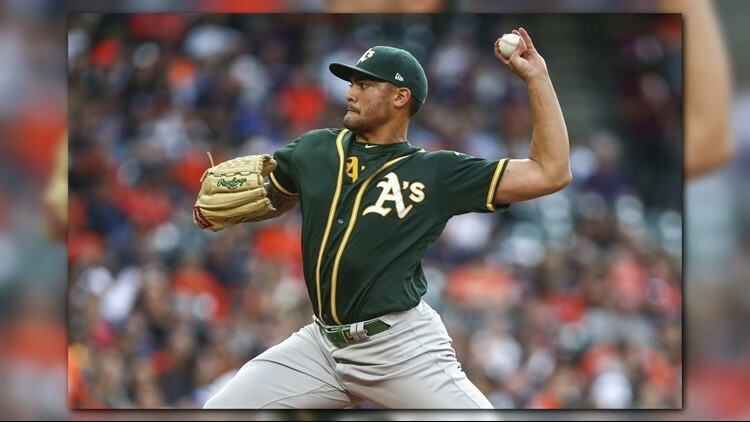 BALTIMORE (AP) - Oakland Athletics left-hander Sean Manaea will have season-ending surgery on his left shoulder next week. The Athletics made the announcement Tuesday. The A's hold the second spot in the AL wild-card race. Manaea has been on the disabled list since Aug. 26. The surgery to repair an impingement will be Sept. 19 at the Cedars-Sinai Kerlan-Jobe Institute in Los Angeles. The 26-year-old Manaea went 12-9 with a 3.59 ERA and 108 strikeouts in 160 2/3 innings this year. He threw a no-hitter April 21 against Boston when he struck out 10. Oakland entered the day trailing first-place Houston by three games in the AL West. Oakland also was three games behind the Yankees for the top spot in the wild-card standings.